Step 1 In the bowl of a food processor, chop the olives and capers to a coarse paste. Remove to another bowl. Step 2 Place the almonds in the food processor and chop coarsely. Add the chopped almonds and the parsley to the olive mix. Step 3Add the oil and cayenne pepper and stir to combine. Step 4Serve with baguette slices or crackers. In Recipes-list.com we have selected the most viewed recipes from category - Appetizers Sauces and condiments Vegetarian . Enjoy the best recipes specially selected for you! 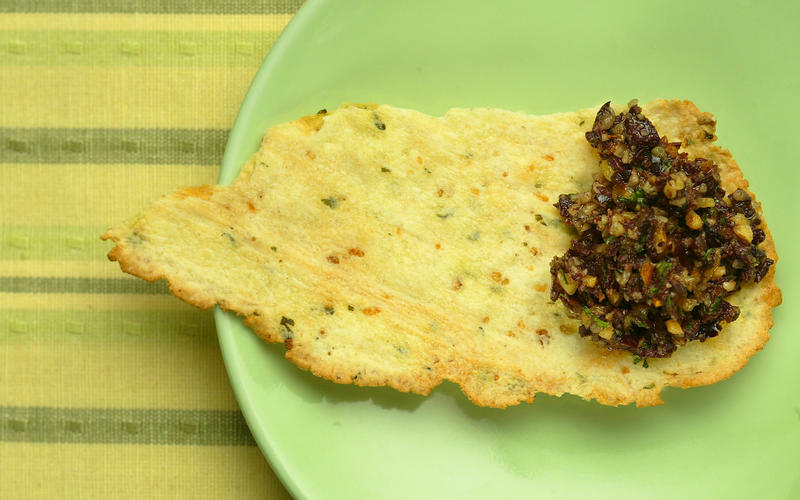 Almond tapenade is the right choice that will satisfy all your claims.